So you are planning on dominating Ultimate Team in Madden 19. With so many people trying to build the best team they can in Madden NFL 19, it is hard to compete in Ultimate Team. There are a lot of people claiming that they can make you millions of coins and turn your team into a powerhouse. The truth of the matter is that if you want to get better you really only have 3 options. Spend hundreds of dollars for a chance to get the best players on your team. Spend thousands of hours grinding out boring solos. Get better at actual gameplay and be able to beat teams that should destroy you on paper. Everything else is nonsense. Those are the only ways you can get an edge in MUT. There isn’t any magical advice anyone can give you for the first 2. Either spend money on packs or don’t. Either spend tons of time on solos, or spend your time playing games that actually matter. Those things are up to you. Stay far away the people selling you a something that promises you all kinds of coins through buying players for cheap and selling them for a premium. These things can work for a few hours and get you a small amount of coins but once 1 or 2 people catch on, whatever “system” they sold you on no longer works and you often end up losing coins and losing your money. However, there are really easy ways to improve your skill level once you get into your Ultimate Team games in Madden 19. If you have a low rated team, you can compete against guys with much better teams. If you have a highly rated team, you can dominate just about everyone you play. The best part is, it only takes a little bit of time in practice mode and it doesn’t cost you a penny. The guys at Madden School give out free Madden 19 tips. Madden NFL 19 is the 11th Madden game they have covered. They are really easy to understand are work in any game mode whether it is franchise, draft champions, or Ultimate Team. 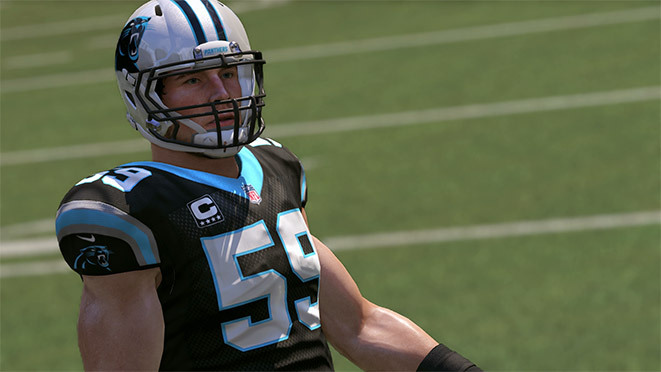 Each Madden tip comes with a full HD video and written breakdown. If you are truly interested in dominating in Madden 19, they also offer an option called Madden School Unlimited that gets you access to all of their Madden 19 guides. They are designed to work perfectly in Ultimate Team regardless of the skill level of your team. Obviously, the more talented your team is, the better things will work out for you, but you don’t need an elite team to win a lot of games. If you are interested in that, we have a special coupon that will get you 20% off Madden School Unlimited. Use the code, “STICKSKILLS” and you will get 20% off. Madden 19 Ultimate Team will be as competitive as ever. Now is the time to start preparing. I’m curious tto fiind out what bblog system you’re utilizing? mmy latest site and I would like to find something more secure. Do yoou have any suggestions?